Aguas Chañar delivers sanitary services, contributing to improve the life quality of the clients, continually improving the processes, with the participation of the collaborators and under compliance of the Integrated Management System for Quality, Environment, and Safety and Occupational Health. For the first line management at Aguas Chañar it has been the best and most efficient model to deliver solutions to our clients, at the most convenient costs. 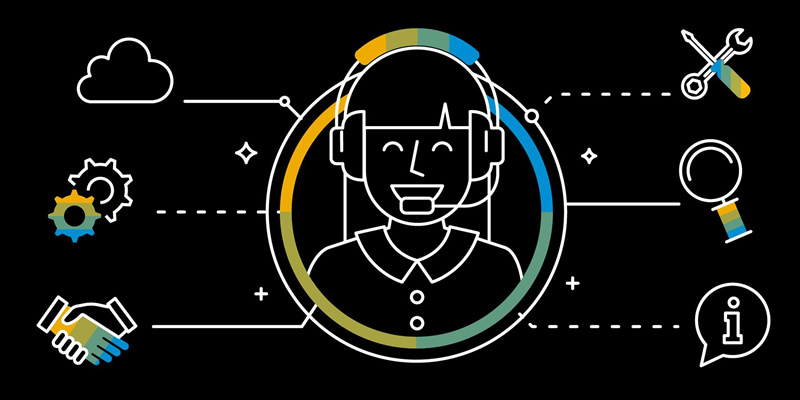 An approach to improve the customer communication channel is introducing artificial intelligence to enhance the analysis of phone calls and allow this information available for future consumers. Implementation of a Big Data workflow for the collection, storage, processing and consumption/visualization of data that allows, with the introduction of artificial intelligence, analyze phone calls to determine sentiment, identify entities and save this information to be used by future consumers. Automated transcription and analysis of audio from phone calls to the company’s call center. Tap the valuable data and metadata from the results of the analysis, and provide the business with a great source of information for making decisions. Powerful platform to store and analyze the data that can be obtained from phone calls, and feed the organization with highly valuable information that will empower the business to make the right call. Would you like to get the most and best information out of you call center calls?